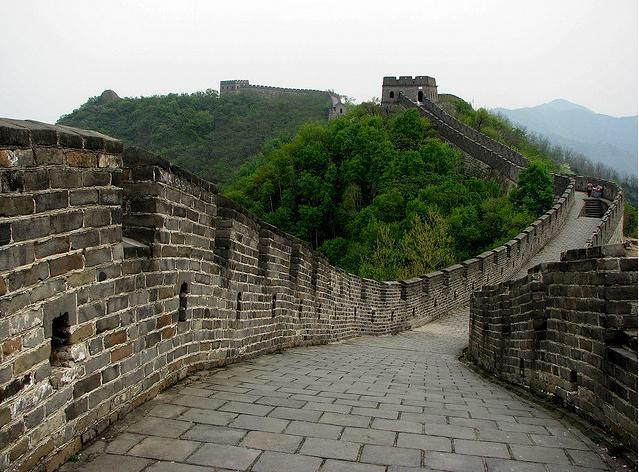 Located among the orchards and pines in the mountains to the north of Beijing, the Great Wall of China was constructed and reconstructed at Mutianyu to keep out the nomadic tribes to the north. A short 60 km trip outside of Beijing, The Great Wall of China at Mutianyu stands as a monument to both the strength and the weakness of the Chinese Ming Dynasty (1368-1627). Come learn, touch, and explore the history of a Wall built over 300 years ago, yet which remains largely intact as it snakes endlessly across the mountain ridgelines. Nestled up against the Great Wall of China are the villages of Mutianyu, Beigou, Xinying and Tianxianyu. Founded by the original builders of the Wall, these villages have retained their wonderful unique character and are a microcosm of Chinese rural life. Real working villages, these family friendly towns offer a relaxing escape from the hustle-bustle of tourism, and the pollution of the city. 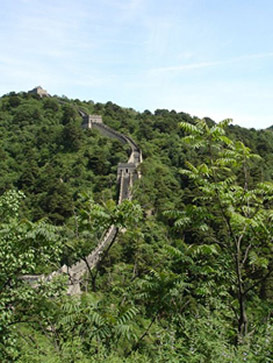 Explore our site to find out more about the history and activities of the Mutianyu Great Wall area. 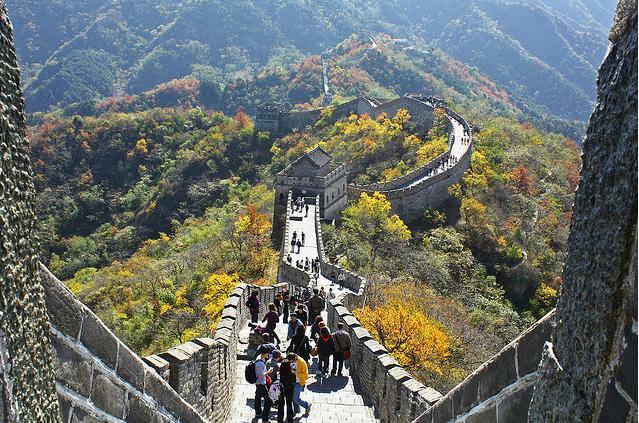 Located in Huairou County northeast of the Beijing urban area, the Mutianyu Great Wall crosses the mountain ridges connecting Juyongguan Pass to the west and Gubeikou to the east. Along with nearby Huanghua Great Wall and Jiankou pass, these fortifications make up the northern barrier protecting Beijing city and the imperial mausoleums. 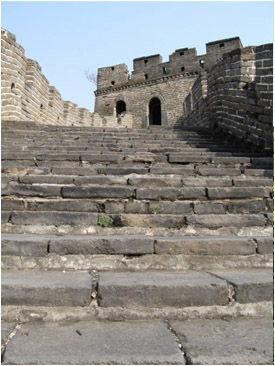 High quality construction and unique features make this section of the Great Wall a prominent feature in the defense of the Capital and an exciting tourist destination. 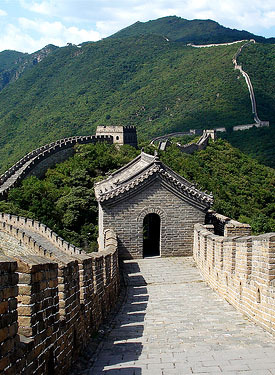 The Great Wall at Mutianyu was built and restored in the early Ming Dynasty (1368 – 1644), on the remnants of a Wall originally built in the Northern Qi Dynasty (550-577). 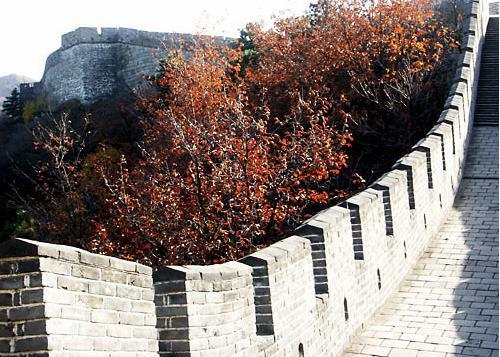 Reconstruction took place under the supervision of Xu Da, one of the founding generals of the Ming Dynasty, who was responsible for building a Wall from Shanhaiguan in the east to as far as Mutianyu. The Ming pass at Mutianyu was officially proclaimed in 1404, where is would serve as an important symbol of protection from marauding nomads to the north. 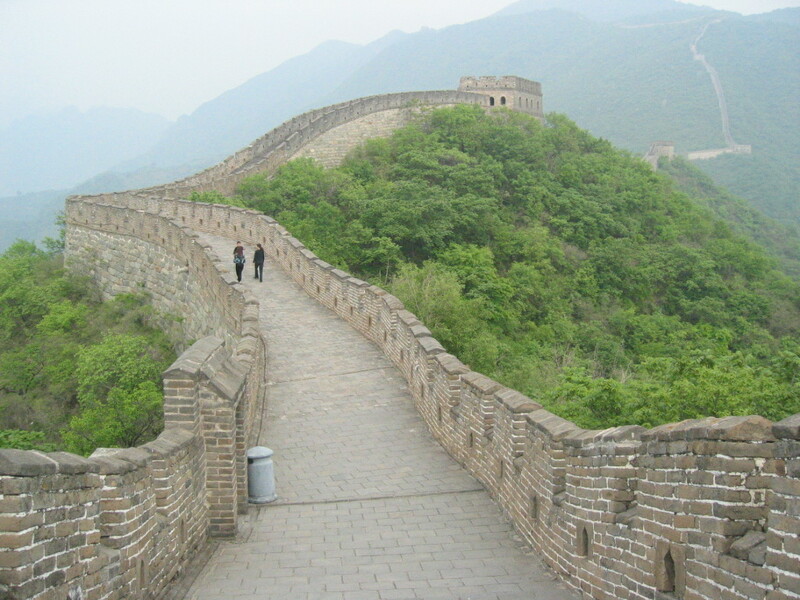 Reconstruction began in 1568 on 1000km of the Wall including Mutianyu. Responsibility was given to Qi Jiguang, a general who had built his credentials fighting Japanese pirates, and who took his responsibilities as a builder very seriously. Construction continued for many years, as the fortifications were built up with solid granite blocks, and included the construction of some of the larger defensive towers. 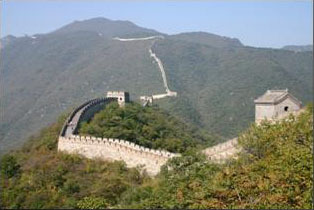 The most recent renovation of the Wall at Mutianyu took place from 1982-1986, at the direction of the Beijing government. Rather than a defensive fortification, the Mutianyu Great Wall Park has been designated a national tourist attraction, where it attracts thousands of visitors each year. Mutianyu is a bit more rugged and slightly less crowded than the more famous Badaling. There are abundant natural springs which feed a great variety of plants and trees. Over 96% of Mutianyu is covered by trees and orchards, keeping the air fragrant with chestnut blossoms in the spring and fresh all year long. Built mainly from granite, the pass at Mutianyu is an appropriately unique section of the Great Wall. 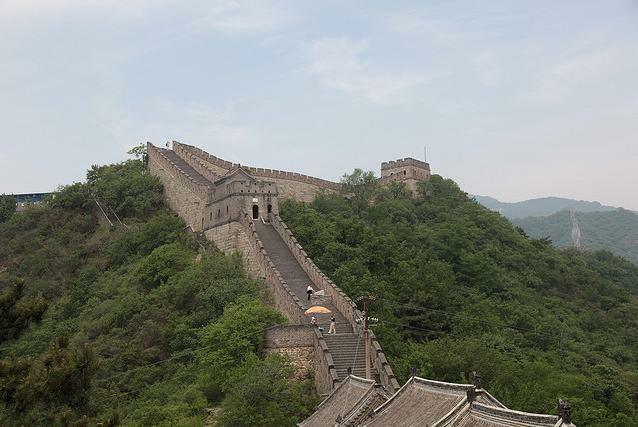 7 to 8 meters high, and 4 to 5 meters high with crenellations on both sides of the Wall, the section of the Wall at Mutianyu stretches for over 2 kilometers. 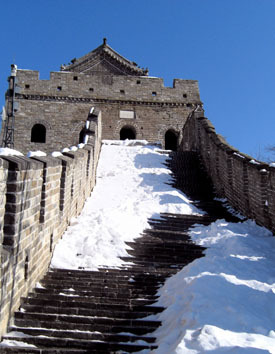 Matching its military importance, the Mutianyu Great Wall has 22 watchtowers built at almost 100 meter intervals. This number of towers is much more than would be expected along the Wall, and is also highlighted by the particular form and structure unique to this section. The Zheng Guan Tai gate stands with three connected watchtowers, with the center tower rising above the flanking structures. While each tower has its own gate, the main watchtower gate is on the east side of the building, which is quite unusual. Other unique features in this section include the ‘Tail Wall’ which stretches out perpendicular to the Wall along a ridgeline for stronger defensive positioning, and another perpendicular extension on the other side of the Wall. Invading nomads would use the ridgelines as they marched, to avoid being caught unawares in the brambles and trees below, and the positioning of the Great Wall along the ridgeline and these adjoining tail walls are recognition of the importance of this high ground. 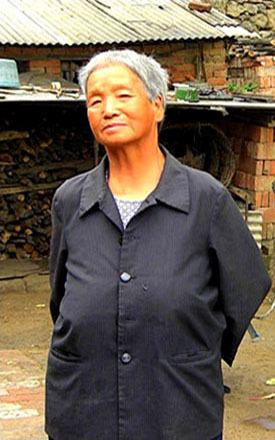 On 4 June 2007, a delegation led by the Mayor of Mutianyu signed into effect the first ever sister village relationship between the United States of America and the People’s Republic of China. Established between the villages of Mutianyu, PRC, and Shelburne Falls, Massachusetts, USA, this sister village relationship hopes to become a bridge for exchange between these two villages, an exchange based on mutual respect, learning, and cooperation. In April 2010 a delegation from Shelburne Falls led by State Senator Stan Rosenberg visited Mutianyu to conduct three days of discussions on how to build bridges between people and places. As an opportunity for education in both directions, this sister village relationship holds promise for the intellectual and economic development of both communities over the coming years. 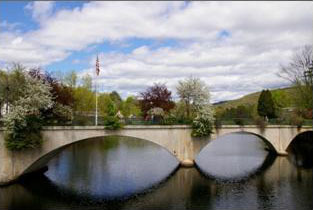 Through educational and experiential exchange, Mutianyu and Shelburne Falls hope to build their profile and their experience in international tourism, and to create an exchange where students from each village can learn about the lifestyles, economy, and history of a village half a world away. The villages around Mutianyu Great Wall offer much more than the magnificent forested Great Wall site. 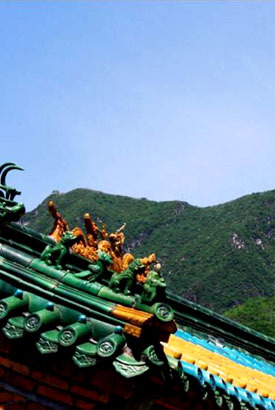 What is “off the wall” are the villages of Mutianyu, Beigou, Xinying and Tianxianyu nestled beneath the mountain pass. Many visitors zip right through these villages without realizing that they are a microcosm of rural China. 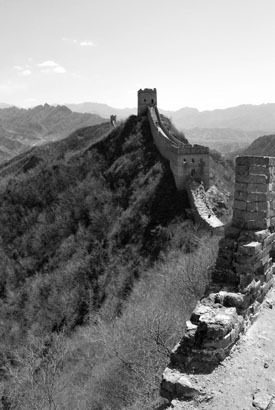 What would they find if they stopped and walked around or strolled down from the Great Wall? The villages are famous for their crown pines and are peopled by descendants of the laborers who built this section of the Great Wall during the Ming Dynasty. They are working villages. The main agricultural products are apricots, pears, and chestnuts grown in orchards dotting the steep hills. Draft animals are kept and the millstones are used to make flour. Wild mushrooms and other edible plants are gathered for food. Mutianyu, Beigou, Xinying and Tianxianyu are friendly places and the residents are always ready with a smile. They are proud of their section of the Great Wall and welcome visitors and enjoy talking with them.